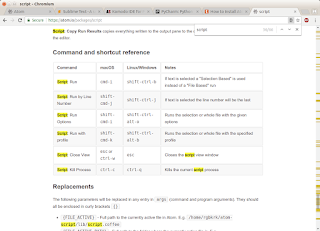 In my previous blog Text Editor and IDE for Python I discussed different editors for Python. 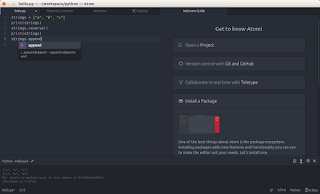 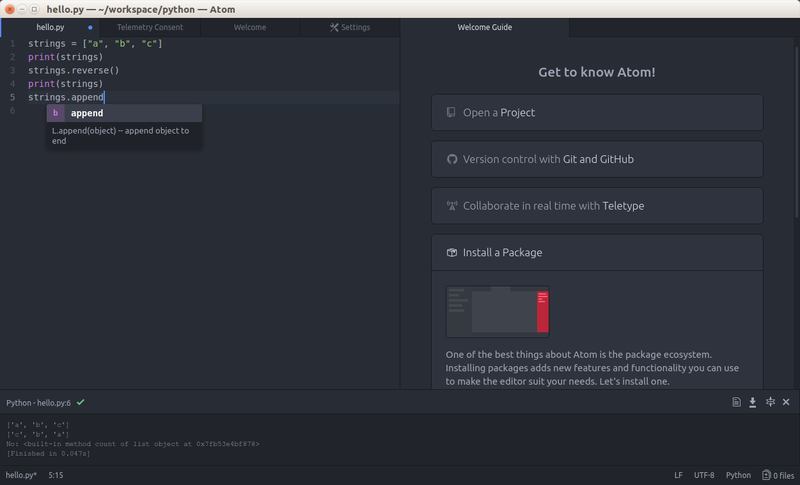 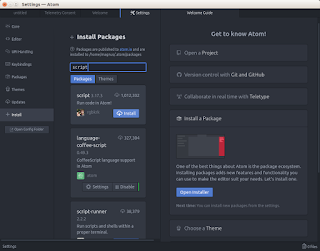 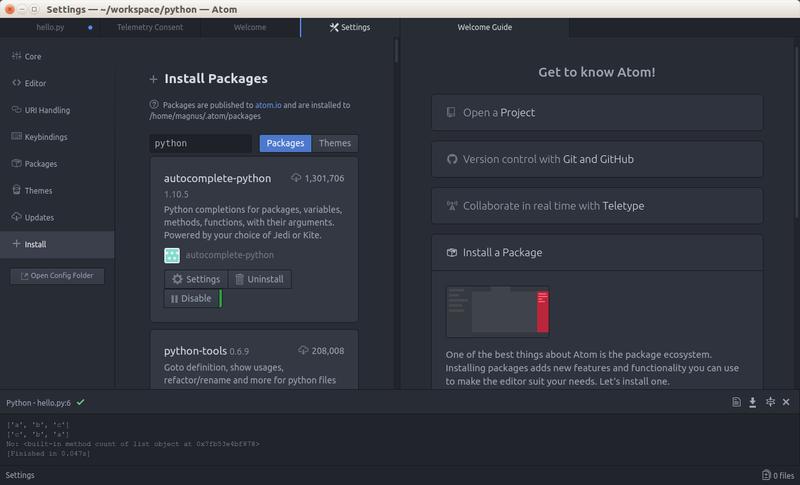 Here I will use Atom text editor and install plugin for Python. 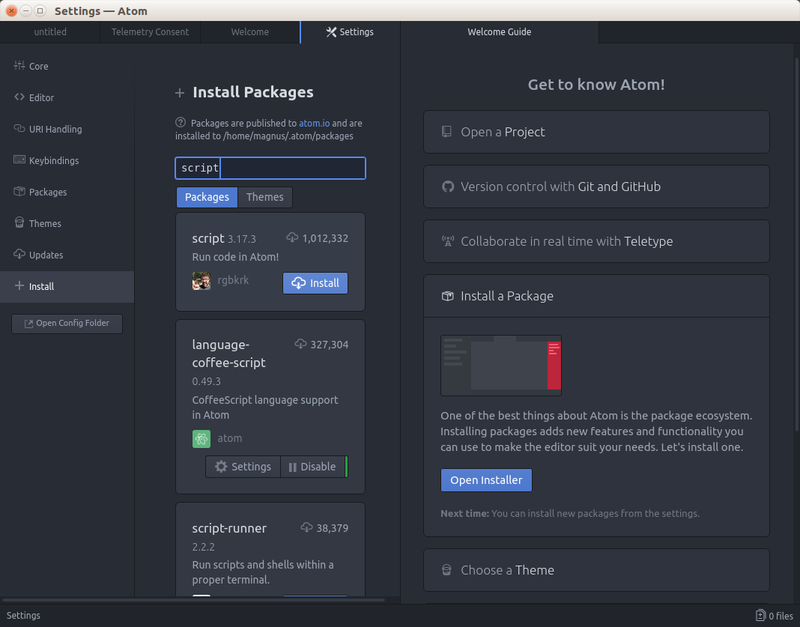 From Atom open Settings and search for plugin script. 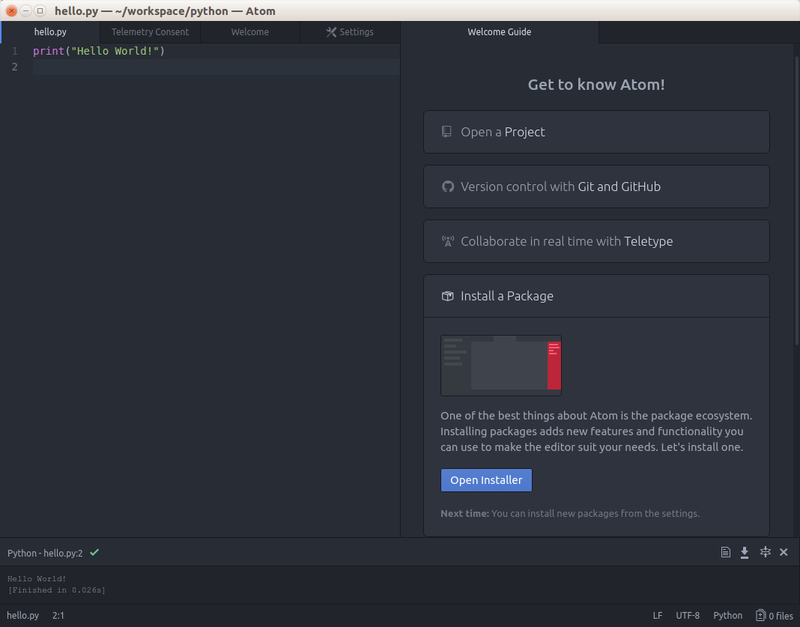 Now you can run python script inside Atom. First write something, save as a .py file. 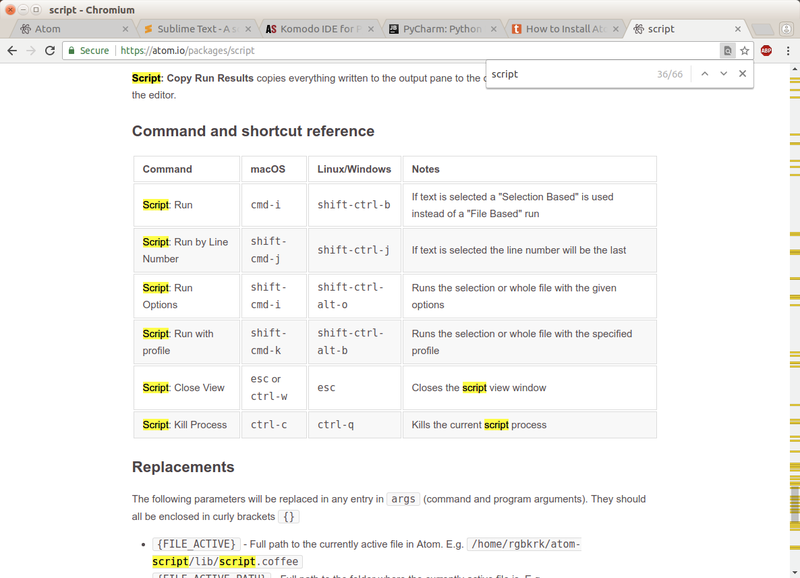 Then hit SHIFT+CTRL+B.